The Mexican cinematographer used fog and fire and shot mostly on film to capture religious wars in feudal Japan in "Silence." 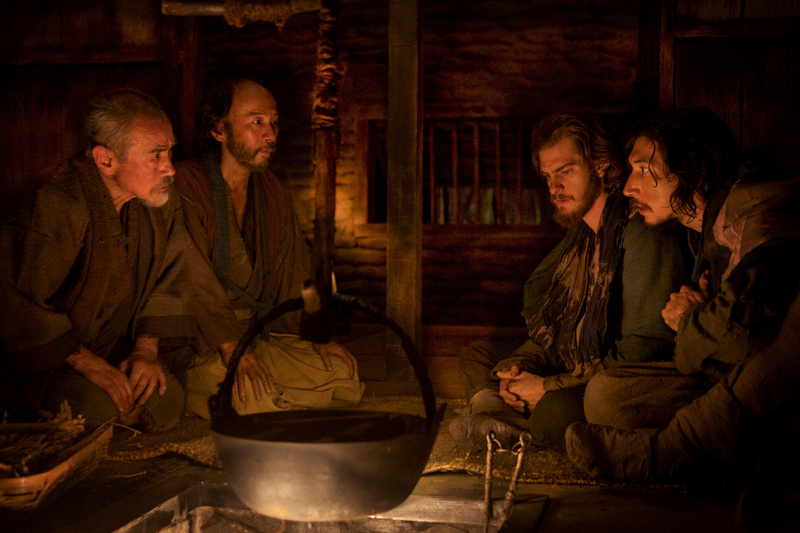 Nature played a major role in “Silence,” the movie about the crisis of faith stemming from the persecution of Christians in 17th century Japan, from director Martin Scorsese. He and cinematographer Rodrigo Prieto shot on 35mm film (except for more complicated night scenes) and used the unpredictable weather to their advantage. Also, because so much of “Silence” is about hiding, there were many discussions about incorporating the theme into the overall aesthetic, which alternates between warm and harsh. “A lot of the hiding was nighttime, but, also from a technical standpoint, where it was impossible to access without lighting gear to create moonlight,” Prietio said. “Some of the scenes we shot at dusk and when they had torches it looked bright enough. But scenes on the beach were shot day for night. And weather often dictated the look. For example, when [Jesuit priests] Rodrigues [Andrew Garfield] and Garrpe [Adam Driver] arrive in Japan and see the island from a distance, I lit that with a sunset feel. Fog, too, was used more as a mysterious element when Garfield travels on a small boat from Tomogi, in mainland Japan, to the island of Goto. And when Garfield arrives, Scorsese wanted the image of villagers appearing through the fog as frightening figures, which was shot with real fog. However, when Garfield’s in a boat and the fog creeps like fingers clutching the boat, Scorsese and Prieto recreated the eerie look from Kenji Mizoguchi’s landmark romantic fantasy, “Ugetsu” (1953). Prieto was also inspired by baroque painters of the period, especially for candlelit scenes in the huts and in a Macao church. But as the movie progresses, he used different imagery influenced by Japanese screen art during this same Edo period, with the color timing taking on a golden hue. But Scorsese enhanced the tense reunion in Japan between Rodrigues and his mentor, Father Ferreira (Liam Neeson) by separating the actors until they shot the scene. “This also takes place at sunset, shot at night on the backlot of a studio, with a crane strobe light,” Prieto said. The mixing of aesthetics with ideology in “Silence” — a 30-year passion project for Scorsese — was also extremely personal for Prieto. “I’m from Mexico and aware of when the Spanish came to conquer it, so this is important in terms of colonization and imposition of beliefs and all these things are happening still. It’s a movie about the 17th century and everything resonates in my heart and in today’s society,” he said.